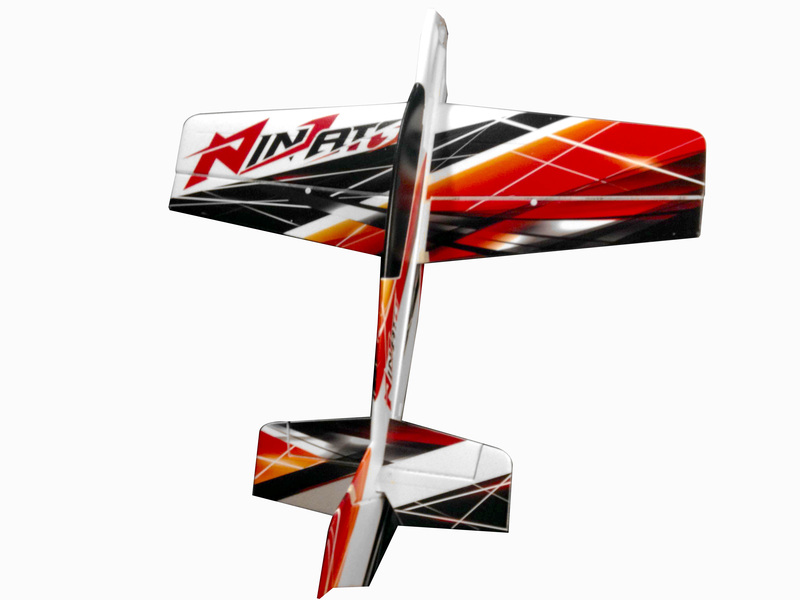 The Ninjato is a aerobatic sport plane designed for outdoor flying. 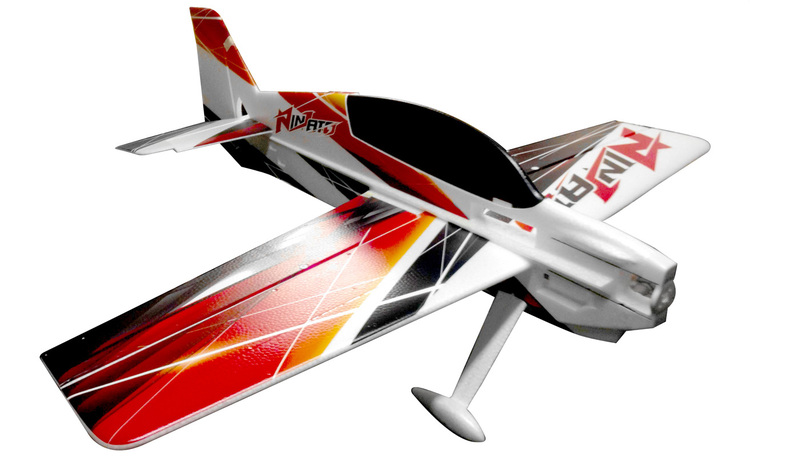 The design concept stems from the original Nitroplanes Katana. Its large wing area and light wing loading offer very forgiving flight characteristics, especially in slow flight. It's also compatible with a range of motor and propeller sizes so you can fine tune the power and performance to your skill level. 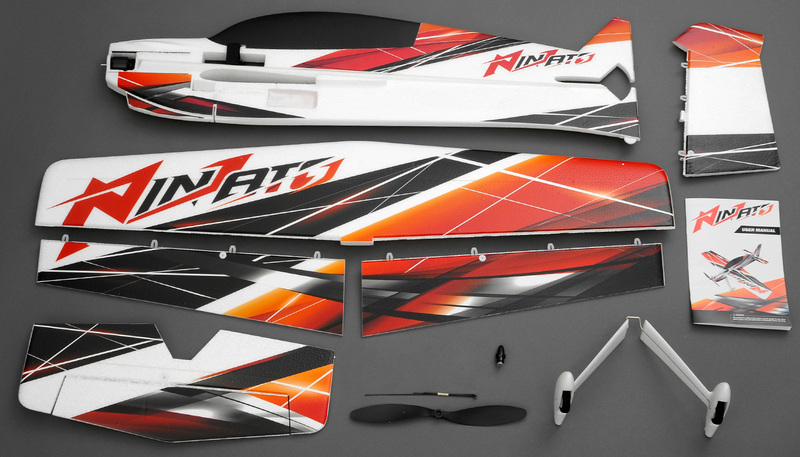 Experienced 3D pilots will appreciate the uniquely designed Ninjato and its inflight behavior. It is suitable for outdoor or indoor flying since the large control surfaces allow for precise control in high-alpha flight. 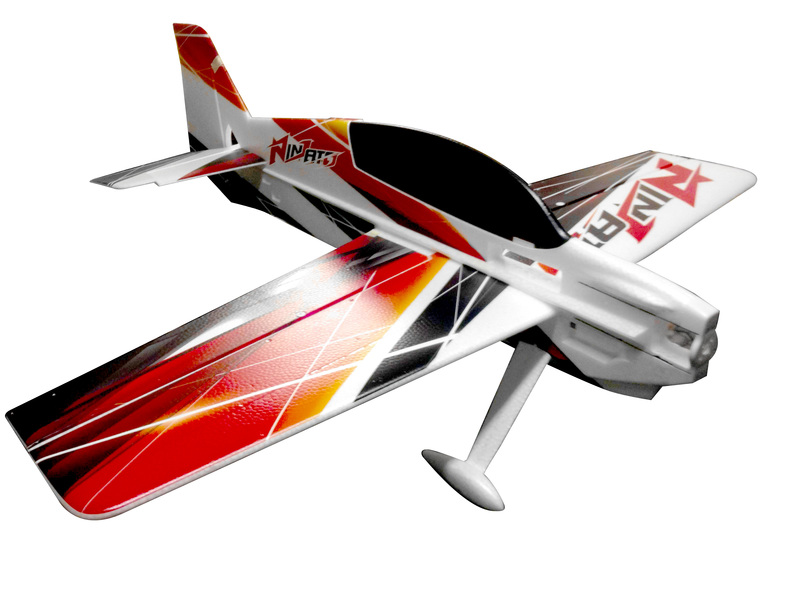 It is capable of sport to the most extreme 3D aerobatics. The technology of the carbon tube embedded in the EPO foam fuselage and wings makes the plane look awesome while ensuring structural rigidity.